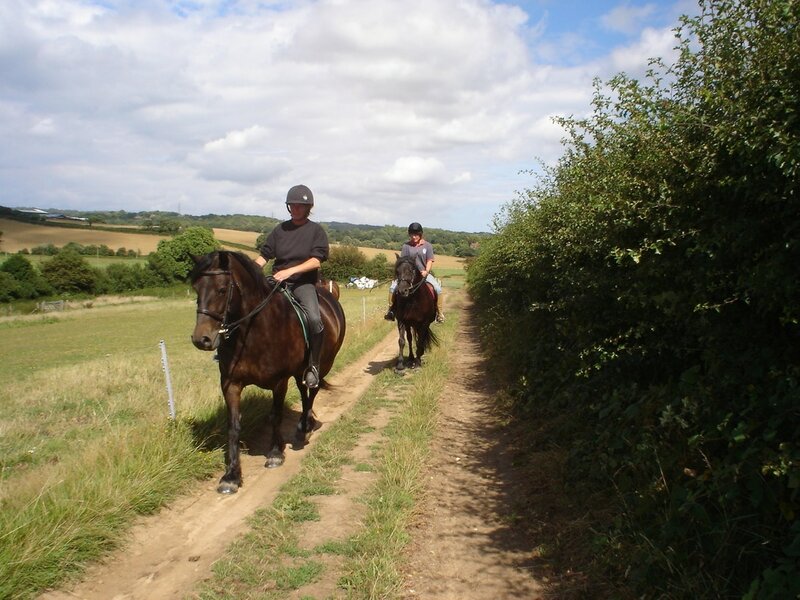 Welcome to the new Akehurst Stud web site, still under construction, but new pages will be added if and when time allows. 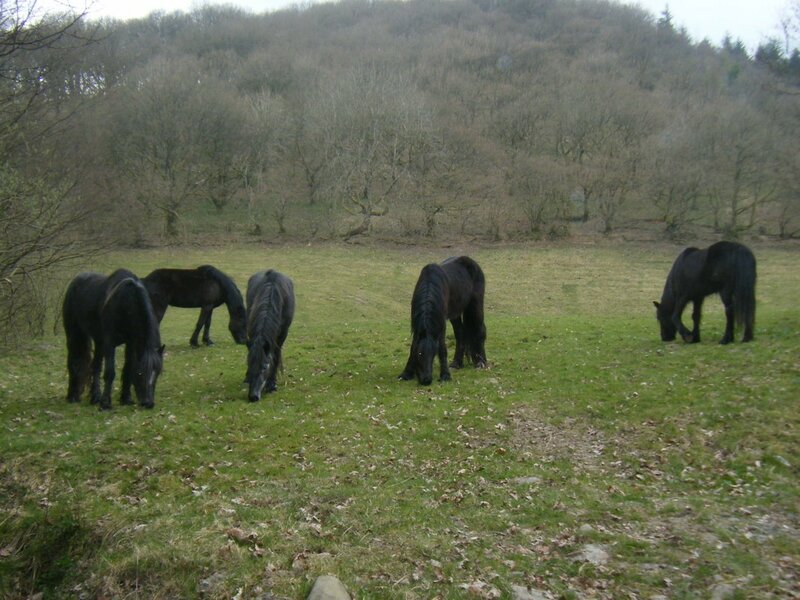 If you have an Akehurst pony, I would love to hear news of him/her and perhaps, if you send me a photo, I can include your Dales on the site. 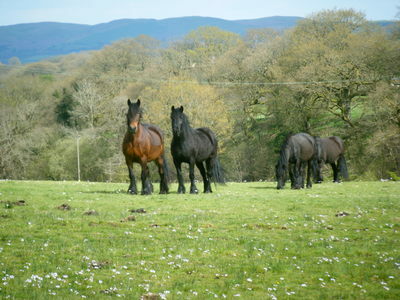 The stud was founded in 1973, in East Sussex and moved to mid Wales in 2010. 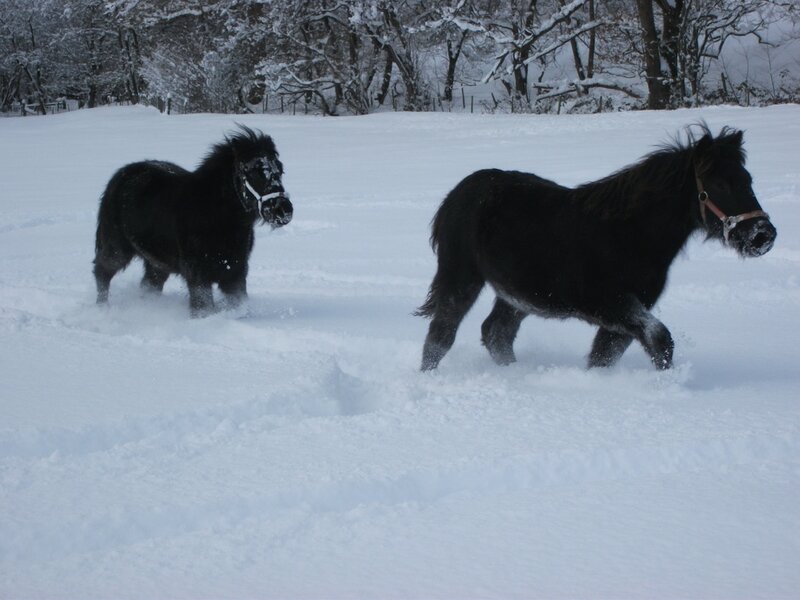 My first Dales ponies, were a black yearling colt Stoneriggs Bobby and a bay filly foal Stoneriggs CHS, and from this small beginning I have bred over 100 Dales ponies. I set out with the aim to breed good quality ponies, true to type, with excellent temperaments, that not only would hold their own in the show ring but also make loving and loyal friends that the whole family could enjoy, in many different disciplines. This I hope I have achieved, as over the years Akehurst ponies have won at major shows, in-hand and under saddle, taken part in jumping, trec, long distance, dressage, and made reliable riding companions and family friends. Dales are a rare breed, ( a native of the North East of England) and when I first became interested in them, there were very few in the South of England, but gradually as people became aware of their attributes and saw they were not just a 'ploddy cob' but a proud animal that could put on a good show, remaining calm and sensible, even when pounding round the ring, knees up and mane and tail flowing in the wind, the numbers increased. Sadly once again numbers have fallen and at the moment the breed is rated 'critical' by the Rare Breeds Survival Trust. 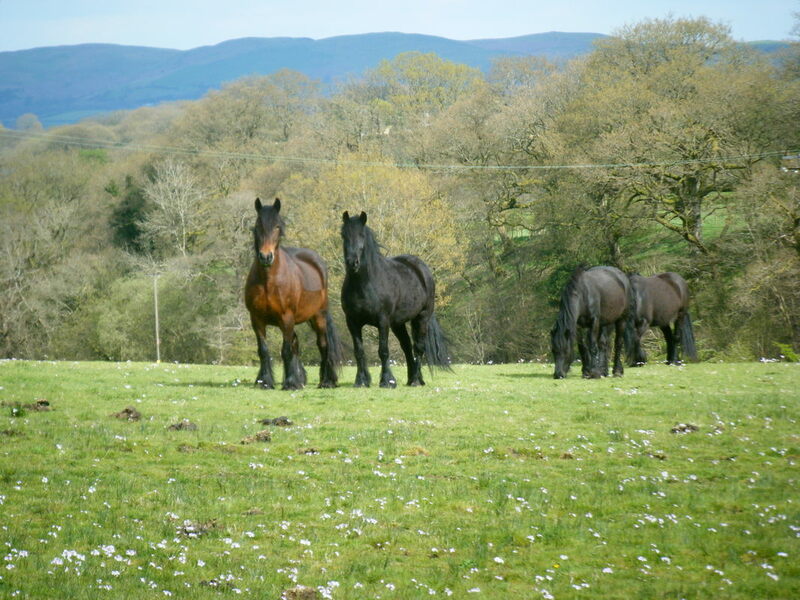 Our farm in Wales nestles under the Cambrian mountains and is a wonderful setting for this lovely breed. 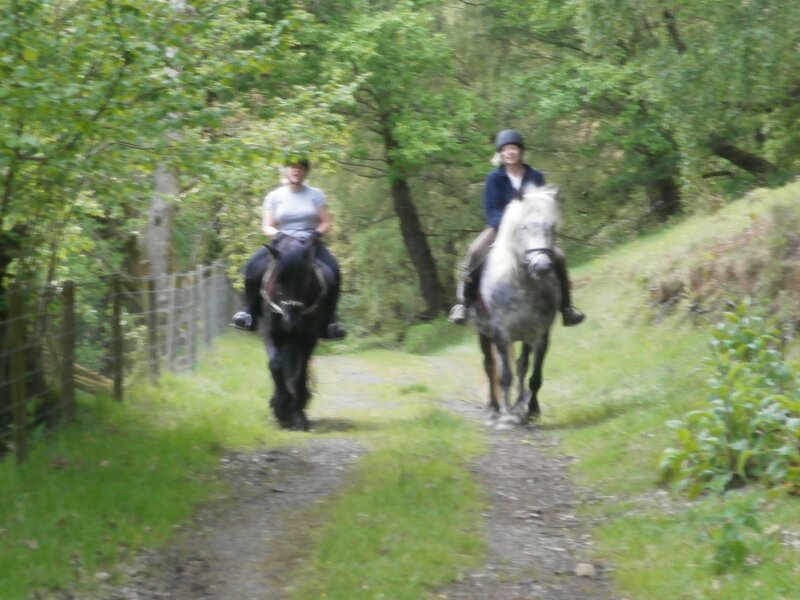 With direct access to open forest and mountain rides, we are able to offer self catering holidays, with facilities for riders and dog walkers. A lovely place for a peaceful, get away from it all break. See holiday page for details. I hope to show the history of the stud on the various pages of this site. 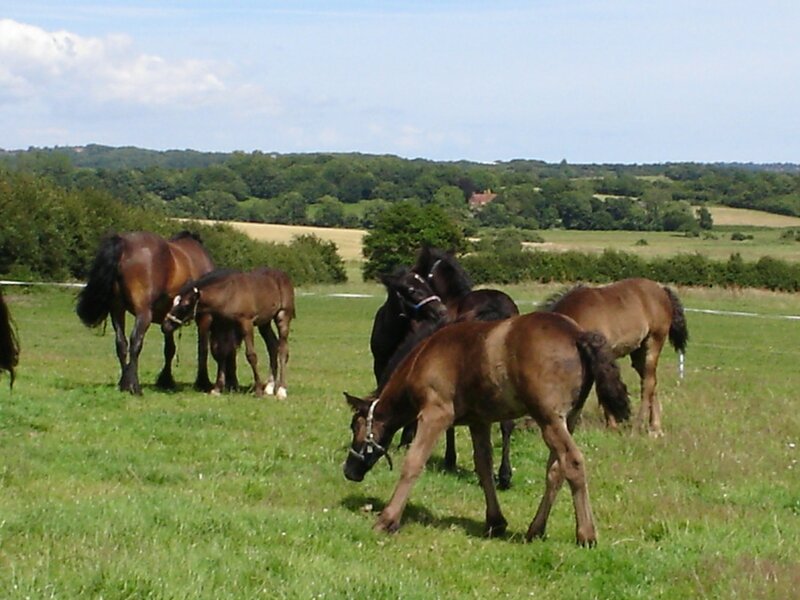 Over the years, nine Dales stallions have stood at stud and twenty five different registered Dales mares have produced foals. Stoneriggs CHS and Stoneriggs Dana, had thirteen foals each. Akehurst Primrose, Akehurst May Blossom and Akehurst Princess Rose, each had ten. Rosie is still with me and is in foal again, after a two year break, so foal number eleven will be born later this year.